They have been recognized to be potentially toxic to humans and animals for many centuries, although until recently the focus of health concerns has been on ingestion of poisonous mushrooms and molds. However, inadequate air-handling systems in many of the “tighter” buildings constructed since the energy crisis of the 1970s have supported enough mold growth to produce indoor air quality hazards. These have included outbreaks of so-called “building-related illnesses (BRIs)” including allergic reactions, respiratory problems and hyper-sensitivity – extreme examples are often called “sick building syndrome.” Mold infestations in buildings can also cause structural damage to the buildings and their finishings and furnishings. Preventive measures generally consist of maintaining dry surfaces with adequate air circulation. 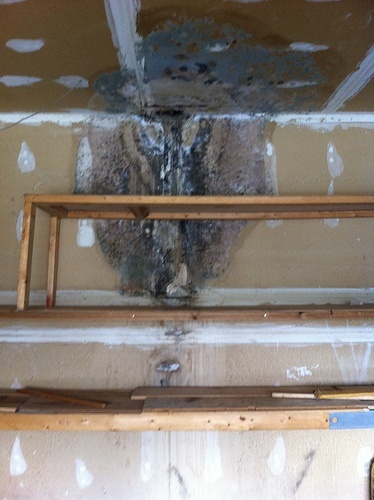 Remediation involves restoring those conditions, and removing water-saturated materials and identifiable mold. EPA focuses on areas that have just suffered flooding or other immersion, while OSHA addresses saturated and contaminated areas whether from chronic water intrusion or sudden soaking. EPA’s has long provided indoor air quality recommendations, which the agency has now supplemented with suggestions for post-flood cleanup activities. These focus on the need to remove contaminated materials and to reduce moisture and humidity. EPA points out that serious long-term health risks can be generated by standing water and wet materials, which provide breeding grounds for microorganisms, such as viruses, bacteria and mold. Accordingly, EPA emphasizes the need to consider replacement of saturated flooring after flooding. Inspection and O&M activities designed to minimize the accumulation of moisture at locations within facilities? Programs to identify, evaluate and remediate mold infestations? Does the organization own or operate any facility in areas prone to flooding from precipitation runoff including from hurricanes? If so, has the organization established hurricane preparedness and response plans for each such facility?